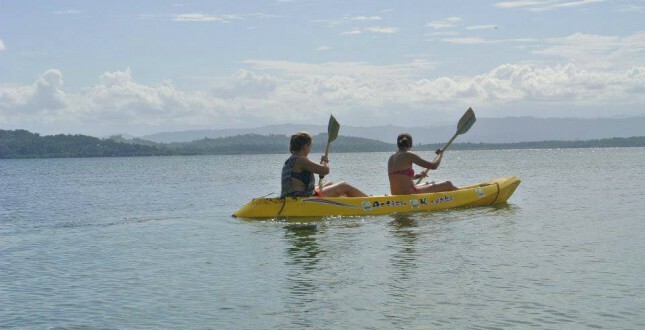 After an introduction on how to paddle and maneuver, the first excursion takes you to Hospital Point, where you can snorkel in an amazing underwater world including coral, fish, and other marine life. 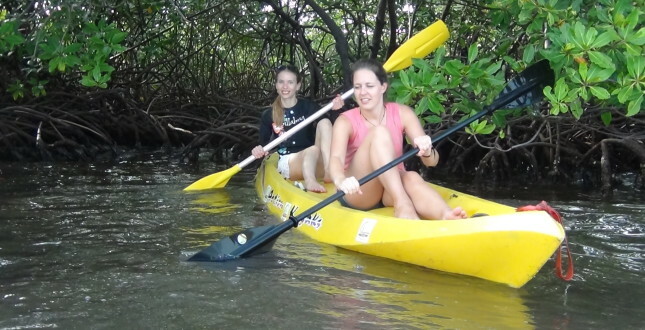 The second excursion will have you paddle by mangroves where you can snorkel and explore another part of the underwater world. 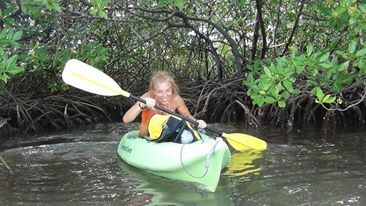 In the private Spanish class you will learn to converse in Spanish about the kayak equipment and the movements you will be making.